A forgotten composer’s symphony has been performed for the first time in more than 100 years thanks to an investigation by a City, University of London researcher. The BBC Concert Orchestra played Leokadiya Kashperova ’s work at a special BBC Radio 3 concert, which was broadcast live on International Women’s Day 2018. The symphony is among a trove of compositions that have been discovered by Dr Graham Griffiths, an Honorary Research Fellow in the Department of Music. BBC Radio 3 chose Kashperova and four other women for an initiative, run in collaboration with the Arts and Humanities Research Council (AHRC), which set out to revive the work of forgotten female composers. Dr Griffiths said: “As soon as I began uncovering Kashperova’s lyrical and beautifully-crafted music I realised that Kashperova had been unjustly overlooked – her considerable achievements had been erased by the misfortunes of history. 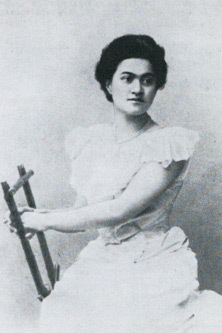 Leokadiya Kashperova, born in 1872, was a Russian pianist and tutor who wrote Romantic songs and instrumental music. After marrying a revolutionary with links to Lenin, she was forced to leave her home city during the 1917 Russian Revolution and her music was never published or performed again. She died in 1940. Dr Griffiths has been studying Kashperova since 2002, when her name appeared during his research for the book, Stravinsky’s Piano: Genesis of a Musical Language. He found she was the piano teacher of the great Russian composer Igor Stravinsky, but little else was known about her life. As part of his research, Dr Griffiths (right) embarked on several trips to St Petersburg and Moscow, during which he uncovered the composer’s biography and her lost compositions, including a symphony, which was completed in 1905. 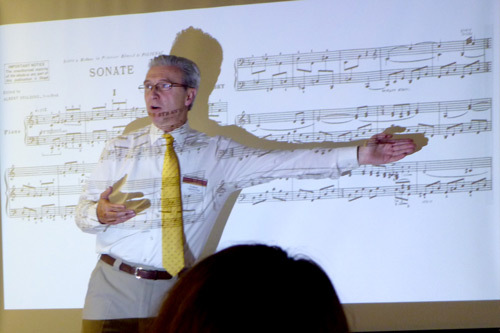 He said: “One of the great thrills of my most recent visit to Moscow was the discovery of many musical manuscripts – not sketches, but complete works ready, as it were, for publication and performance. Kashperova herself never heard them except in her head. “The BBC Singers have now recorded two choral works – Evening and Night – which I 'realised' from these manuscripts with permission from the Glinka National Museum Consortium of Musical Culture, Moscow. Kashperova’s Symphony in B Minor closed the BBC Radio 3 concert, at LSO St Luke’s in Old Street, London. The five composers, originally announced on International Women’s Day 2017, were: Leokadiya Kashperova; Marianna Martines; Florence B Price; Augusta Holmès; Johanna Müller-Hermann. As a result of Dr Griffiths' research, an entry about Kashperova has been added into the dictionary of the Sophie Drinker Institut.